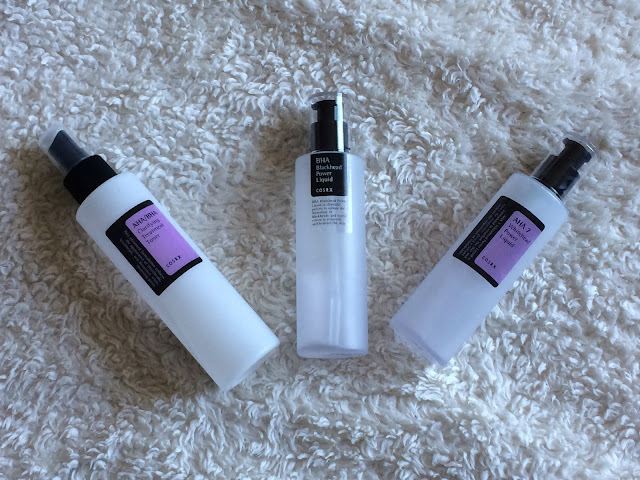 In this post I'm going to introduce you all to the Cosrx AHA/BHA Clarifying Treatment Toner, the BHA Blackhead Power Liquid, and the AHA Whitehead Power Liquid. I'll tell you a little about each product, and how they could be useful to you. 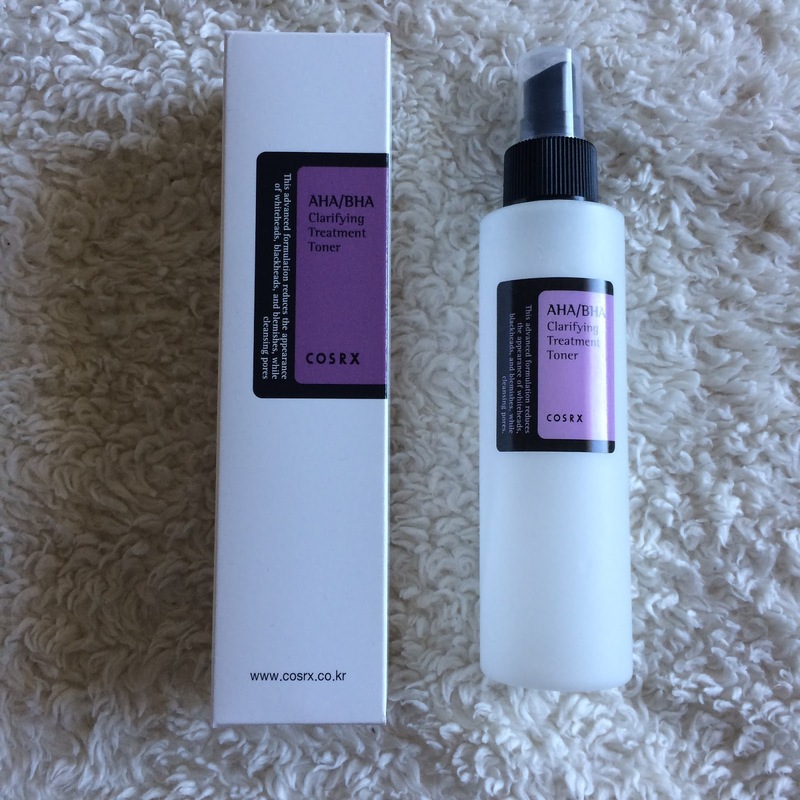 The Cosrx AHA/BHA Clarifying Treatment Toner contains a combination of apple fruit water (natural AHA), glycolic acid (chemical AHA), betaine salicylate (chemical BHA), and willow bark water (natural BHA) to gently exfoliate your skin and lower your skins' pH. If you're not using a low pH cleanser, or you're rinsing your face with a high pH water, you could be creating a welcome environment for acne-causing bacteria. A low, acidic pH is inhibitive for bacteria to reproduce quickly, helping to keep your skin clear. This toner comes in a bottle with a spray top, to eliminate pouring too much or spilling product. It is odorless, clear, and feels like water against the skin. I feel like this is very mild, but with a pH of 4 it can be irritating to some. I personally do not feel like this should be relied upon for exfoliating your skin on it's own, but I do think it can be a good starter for the AHA and/or BHA liquids as well as an adjusting toner after cleansing. 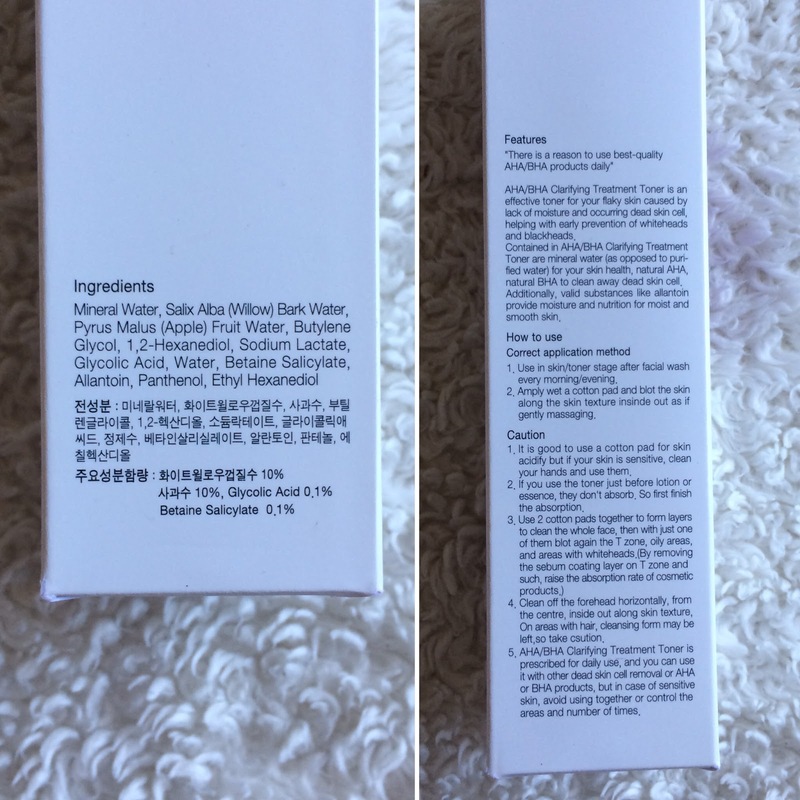 Ingredients: Water, Salix Alba (Willow) Bark Water, Pyrus Malus (Apple) Fruit Water, Butylene Glycol, 1,2-Hexanediol, Sodium Lactate, Glycolic Acid, Betaine Salicylate, Allantoin, Panthenol, Ethyl Hexanediol. You can find the Cosrx AHA/BHA Clarifying Treatment Toner at Cupidrop, Jolse, Amazon, and Memebox. 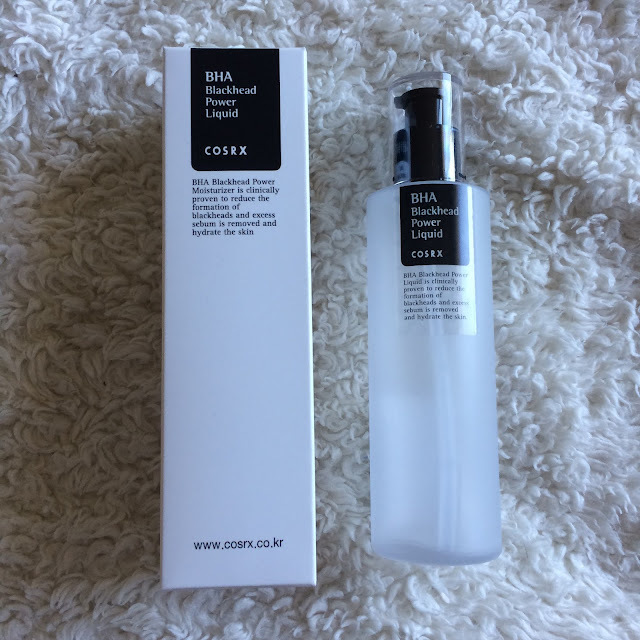 The Cosrx BHA Blackhead Power Liquid contains 4% betaine salicylate (a more gentle form of salicylic acid) that breaks down sebum and blackheads in pores, and prevents excess sebum from turning into blackheads. Cosrx also uses willow bark water (a natural and calming form of BHA) instead of plain water in this product, giving it a bit more potency and a mild calming effect. 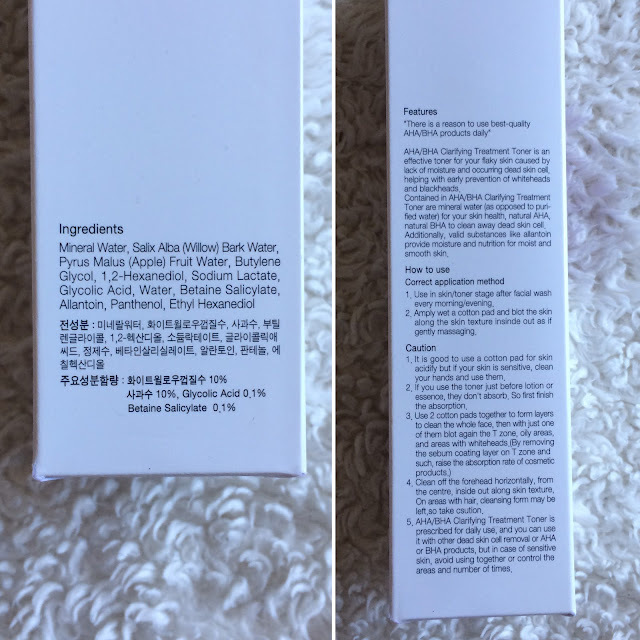 It has a pH of 4, for those curious, which is a bit high for the effectiveness of BHA (the ideal being a pH of 3, anywhere up to 4.5), but it is still low enough chemically exfoliate. 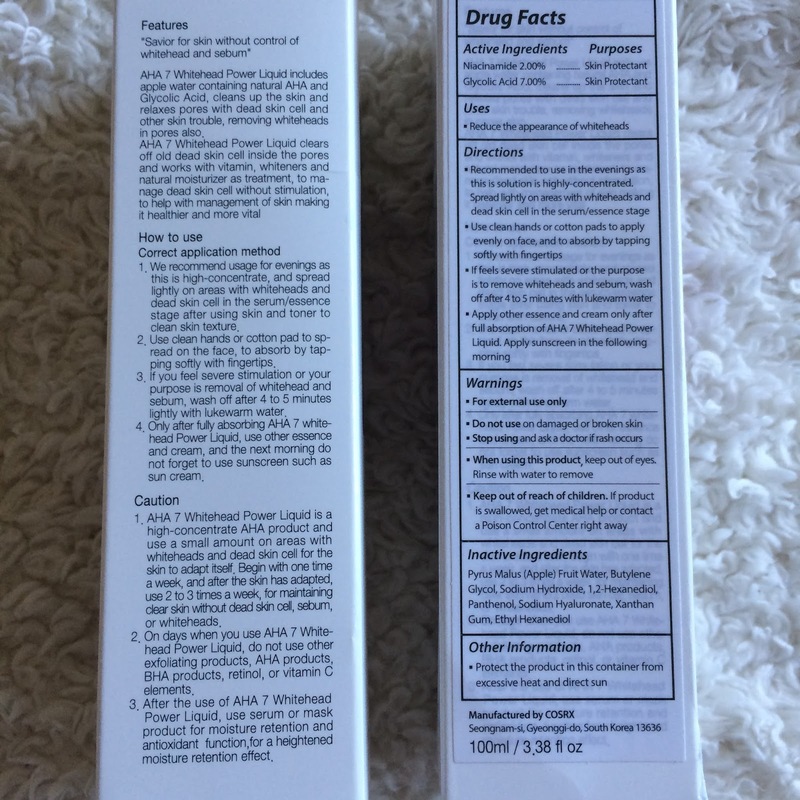 The liquid comes in a pump-top bottle, which is easy to administer with your hands or a cotton pad. It's mostly clear, but can have a slight yellow-ish tinge to it, and has a very light sour chemical scent. 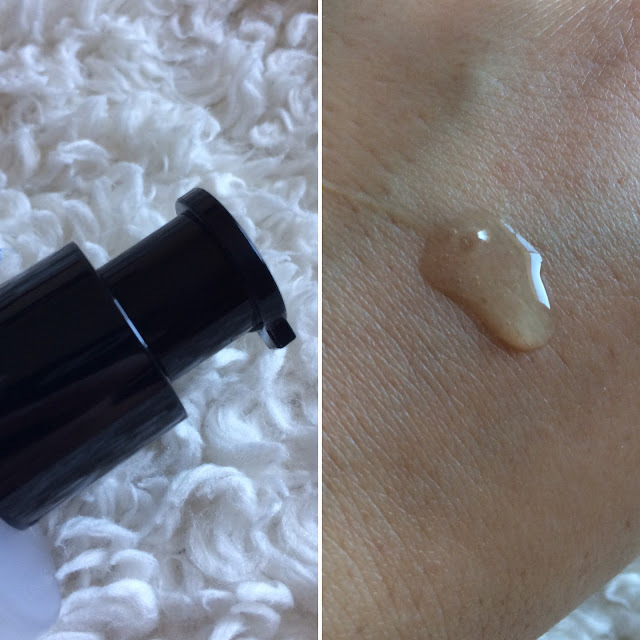 The liquid has a oily slip to it while applying, but it sinks in within seconds. What I love about this BHA is that it does not sting, tighten, or dry out my skin - which is common with some other BHA products (like the common Stridex red-box pads). With continued use my pores look clearer and I get less closed comedones or clogs in my skin. 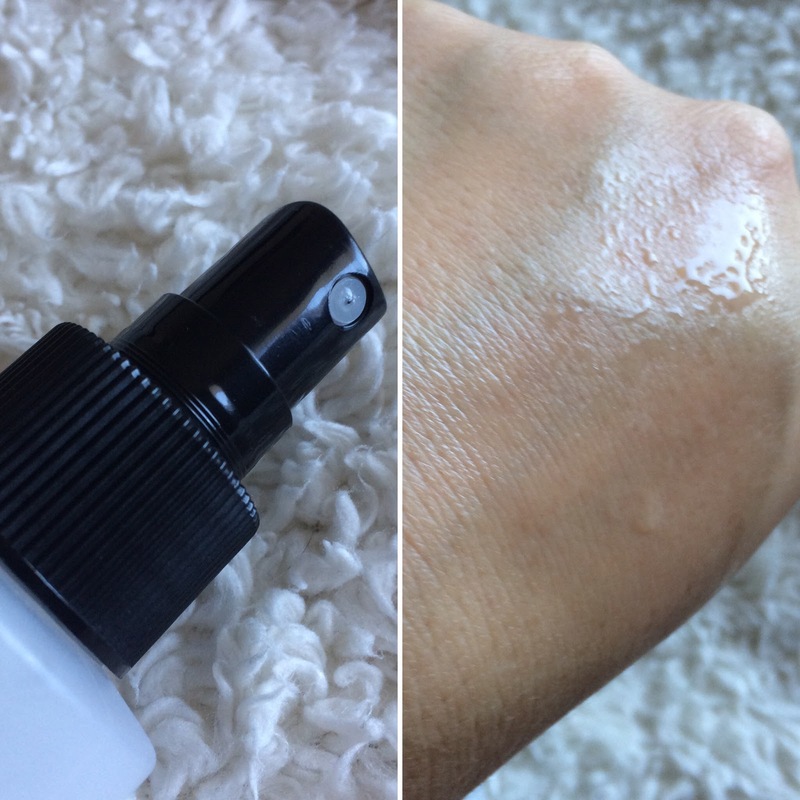 If you use it too often at first it may appear that your skin is producing an excess of blackheads - but I found if I spaced out use of this product, it cleared my blackheads slowly and I did not experience a purge. You can find the Cosrx BHA Blackhead Power Liquid at Cupidrop, Amazon, Jolse, MelodyCosme, and Memebox. The Cosrx AHA Whitehead Power Liquid contains 7% glycolic acid that helps remove dead skin cells by speeding up cell turnover and clearing whiteheads and existing closed comedones. Cosrx also uses apple fruit water (a natural form of AHA) instead of plain water in this product, to give it more potency and a bit of a calming effect as well. Alpha hydroxy acids are also considered humectant, meaning they will give your skin some hydration. 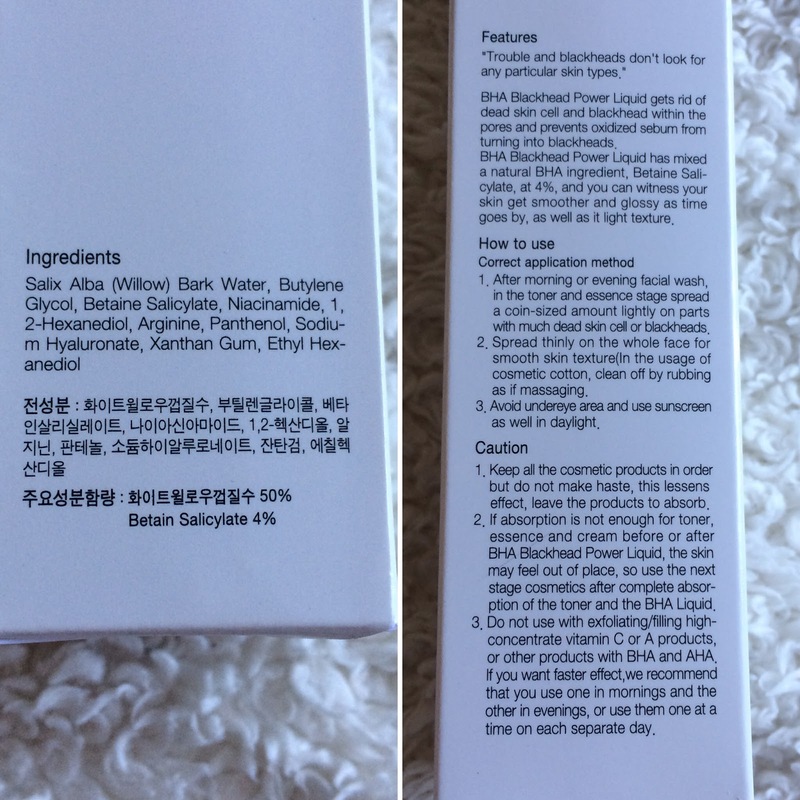 It has a pH of 4, for those curious, which is a bit high for the effectiveness of AHA (the ideal being a pH of 3, anywhere up to 4.5), but it is still low enough chemically exfoliate. 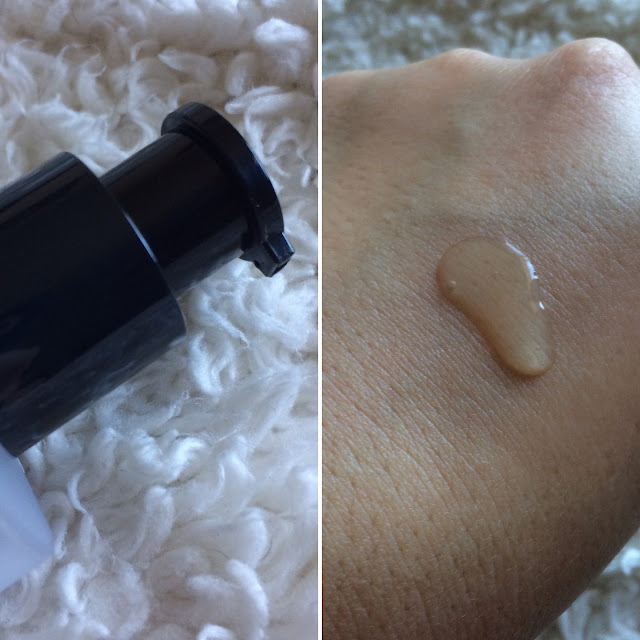 The liquid comes in a pump-top bottle, which is easy to administer with your hands or a cotton pad. It's clear, and has a bit of a sour smell to it. The liquid has a bit of slip to it, and applies nicely to the skin, but can leave a slightly tacky feeling on the skin for a minute or so. 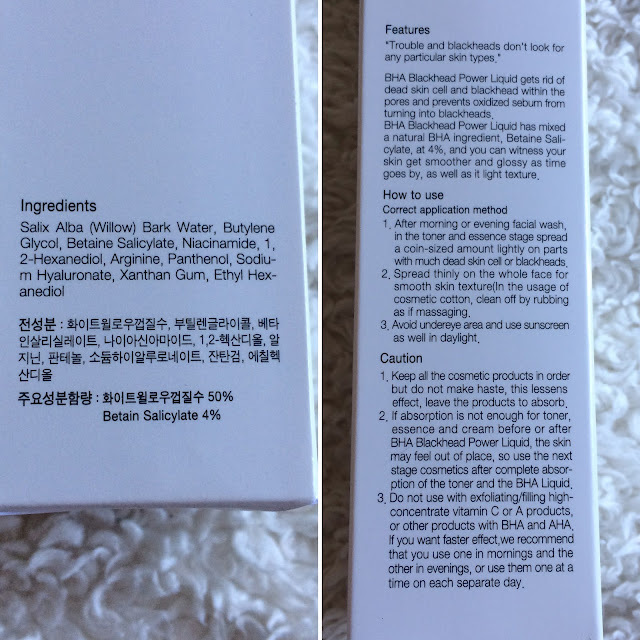 It does burn slightly upon application, which is normal for this product as it is working into your skin. With continued use my skin looks clearer and brighter, with spots and discoloration fading (partly in thanks to the niacinamide in this liquid too, I'm sure). My skin also feels smoother, but if I use it too often it will over-exfoliate and cause my skin to get red and irritated, or start to peel in spots. I find that using it 1-3 times a week is plenty. This product did create a mild purge in my skin as well, causing congested areas to "clean out" a bit more quickly and causing a period of breakouts at once. But with continued use they cleared up fairly quickly (and oil cleansing will help these clogs break loose even more quickly too) and using AHA regularly afterwards keeps my skin from clogging up more. 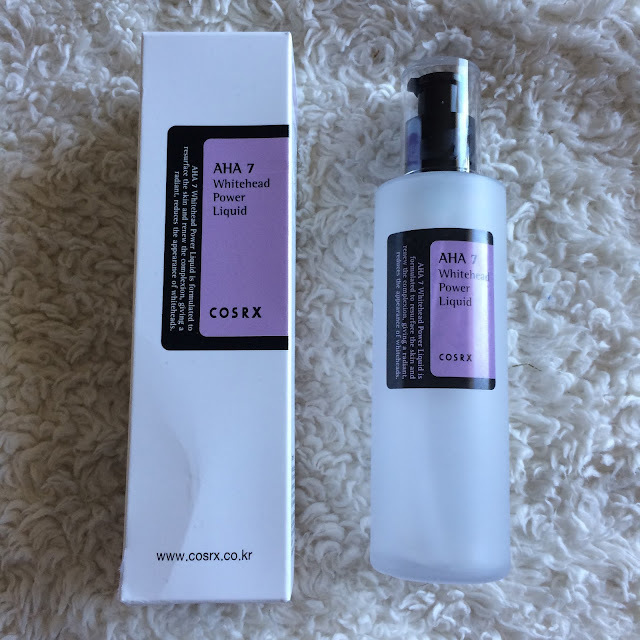 You can find the Cosrx AHA Whitehead Power Liquid at Cupidrop, Amazon, Jolse, MelodyCosme, and Memebox.